Jeni Britton Bauer's genius strawberry shortcakes feature flaky, delicious biscuits made with a secret ingredient: melted vanilla ice cream. Jeni Britton Bauer is the astonishingly creative talent behind the new book Jeni's Splendid Ice Cream Desserts (available at jenis.com). 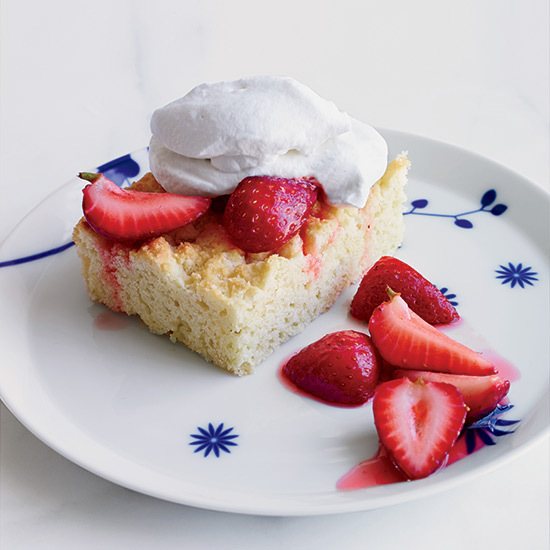 Her genius strawberry shortcakes feature flaky, delicious biscuits made with a secret ingredient: melted vanilla ice cream.